For individuals and organizations, excellence is no longer merely an option — survival requires it. 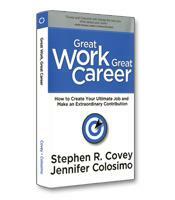 But to thrive, excel and lead in our Knowledge Worker Age, we must move beyond effectiveness to greatness. Leadership guru Stephen Covey writes that accessing a higher level of human genius and motivation requires a sea change in thinking: a new mind-set and skill set — in short, an additional habit to those featured in his book The 7 Habits of Highly Effective People. Covey explains that the crucial challenge is to find our own voice and inspire others to find theirs. 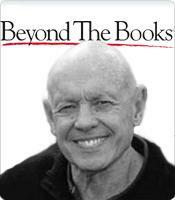 The 8th Habit won the 2005 Harold Longman Award as Soundview's Best Business Book of the Year. The power of win-win thinking. When you're willing to suspend your own interests long enough to understand what the other person wants most, you can collaborate on a new, creative solution. How to increase your influence. Find out how to work on these three dimensions of yourself: ethos (your ethical nature, personal credibility, and the trust that others have in your integrity and competence); pathos (your empathy - knowing how others feel and how they see things); and logos (the power and persuasion of your own presentation and thinking). There is a connection between leadership style and success. The very top people in truly great organizations are Servant Leaders. They are the most humble, the most reverent, the most open, the most teachable, the most respectful and the most caring. They model moral authority through service, humility and contribution. The importance of the Balanced Scorecard. It is concerned not only with the traditional bottom line, but also with the quality of the organization?s relationships with all its key stakeholders. 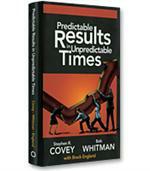 These are predictors of future results. How to create 8th Habit leadership. 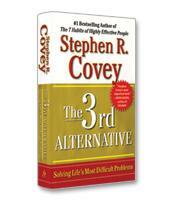 The 8th Habit leader has the mind-set and the skill set to constantly look for the potential in people. This kind of leadership communicates to people their own worth so clearly that they come to see it in themselves.